Out skiing yesterday I talked to a number of folks who were here for their first time, pleasantly surprised at how good the conditions are considering this year’s unusually warm BC winter. So come on out, bring your favourite pair or carvers or all-mountains and enjoy some early spring skiing at Kicking Horse. Here are a few tidbits that will help you feel and sound like a regular the first time you show up. Lingo lesson 1. For whatever reason, our gondola is referred to as the ‘gondie’. Rest assured this terminology is not just for the kids and the cool. Everybody calls it that. And I do mean everybody. It might feel silly the first time it rolls off your tongue but you’ll quickly get used to it. Besides, it’s kinda fun to be able to use teenage talk and have it come out sounding legit. Lingo lesson 2. When talking about how many runs you did and where you skied know that runs are generally referred to as ‘loops’ or ‘laps’. A gondie ride to the top and the subsequent run down, whatever route you chose, is one loop or lap. A gondie plus a Stairway (the Stairway to Heaven Chair takes you that extra few hundred feet to the tippy top) and all the way down is called a ‘super’ loop or lap. If you’re comfortable skiing advanced and expert terrain consider doing a hike, especially if there’s fresh snow or if it’s a bluebird day. There are many to choose from, some are relatively easy, some very hard. The beauty of the hikes is that they let you access parts of the in-bound terrain that many never bother to check out. The hike to Super Bowl is a good one to start with – it’s the easiest one to get to and the way down once is a nice open bowl. 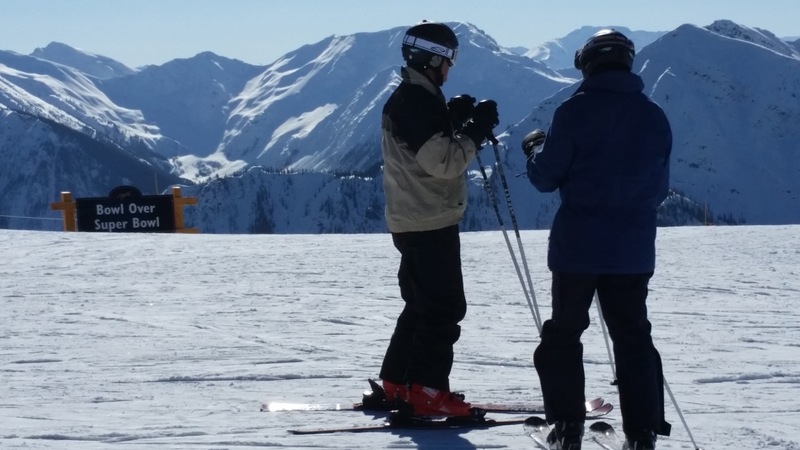 The part where you have to click off your skis and walk only takes about five minutes and it’s an easy gentle uphill slope on a wide track– just enough time to fully take in the views from the top of the ridge. 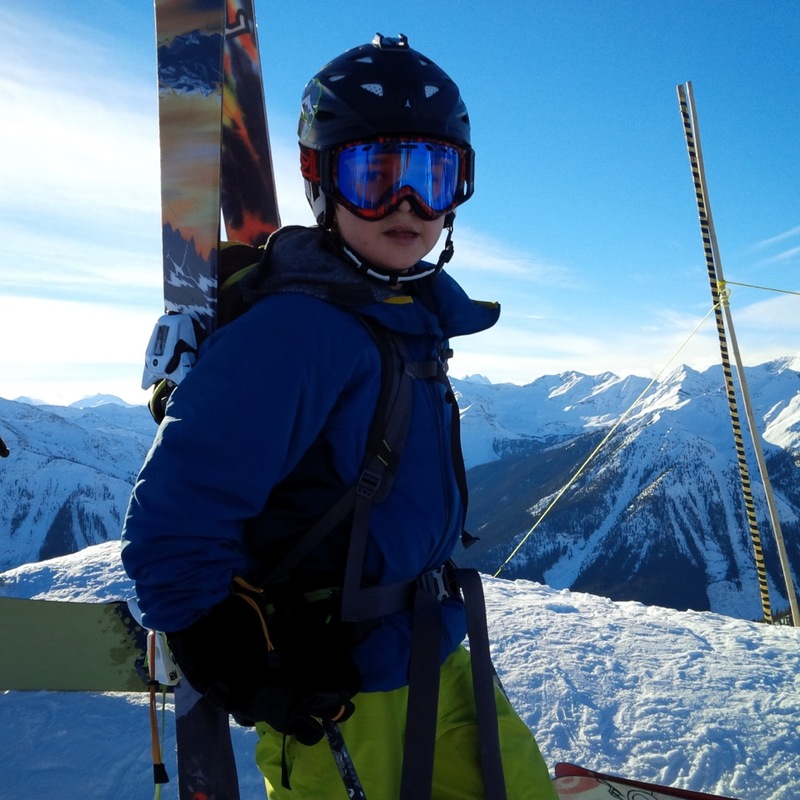 Another tidbit to get you in the know about skiing at Kicking Horse relates to the vertical. We have a lot of it, over 4100 feet (it’s the fourth highest vertical in North America). And because the gondie has no mid-station this means you pretty much ski the whole mountain every time you take that lift. So be prepared to get your workout in. By way of comparison: I skied Lake Louise earlier this year and found I could go from the top of the gondola to the bottom without stopping, no problem. Not so at Kicking Horse. Not for me anyway. For me, I have to stop a good three or four times to catch my breath and rest my legs getting from top to bottom on one of the common blue/black combo routes at Kicking Horse (e.g., Think Twice or Heli Pad off the gondie, then down the rest of Crystal Bowl, onto the track over to Show Off to ski the route directly under the gondie, eventually ending up on the wide open runs under the Catamount chair to get to the bottom). It’s basically a 20 minute run, at least for me, which makes for a 30 to 35 minute loop (not including the lift line). Decide on a super lap and I’m looking at nearly an hour from top to bottom. There’s just so much skiing, so much vertical per run. It’s pretty awesome actually. So don’t feel badly if you only get a couple of laps in before needing to stop for lunch or a snack. A full day for me is only 5 to 6 laps or super laps and I’m totally knackered. With that, I’ve gotten in as much skiing as my only somewhat in shape legs can handle -- I’m happy, I’m tired, and I’m ready for après.